What’s “the book?” Not only did good fortune smile brightly on Bryan when he found this intact, 1950s built hot rod, but the builder had kept meticulous records on everything relative to the car, and provided those records to Brian. We’re talking meticulous to the point of writing down the date, price, and purchase location of something as seemingly insignificant as a repairing a right rear flat tire in April 1951 and replacing the starter Bendix spring in May 1957. 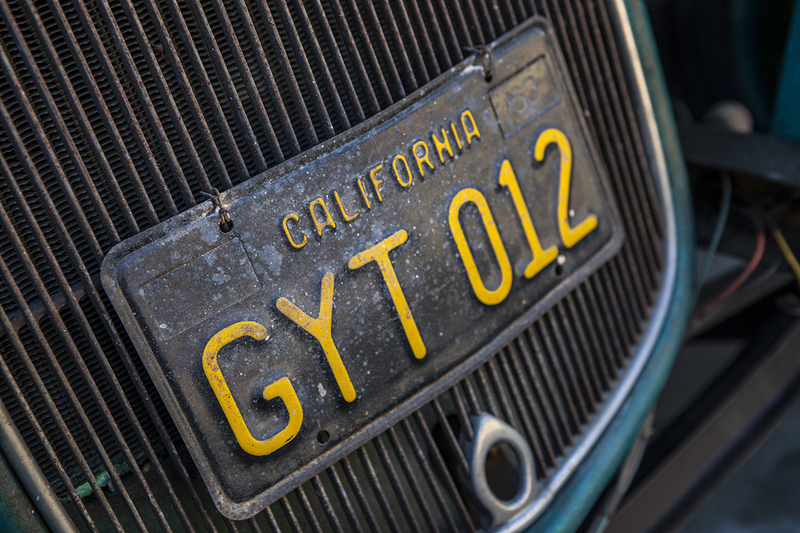 While most of us are left guessing on when or why something was done to our cars, Brian knows exactly. 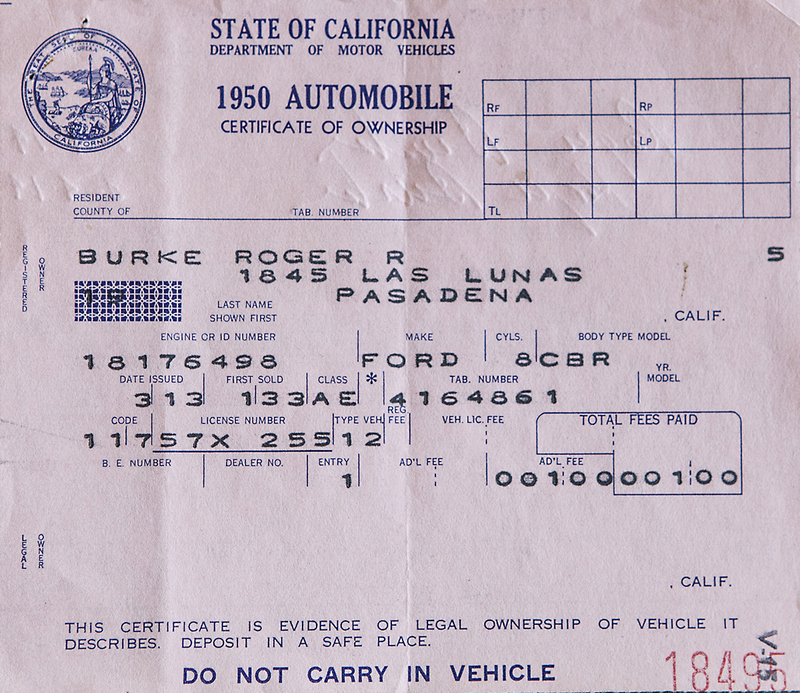 He even got the receipt from February 2, 1950, when the previous owner and rod builder, Roger Burke, bought the cabriolet for $450. It had a flathead at the time and Brian can trace all that was done with the car in that configuration. 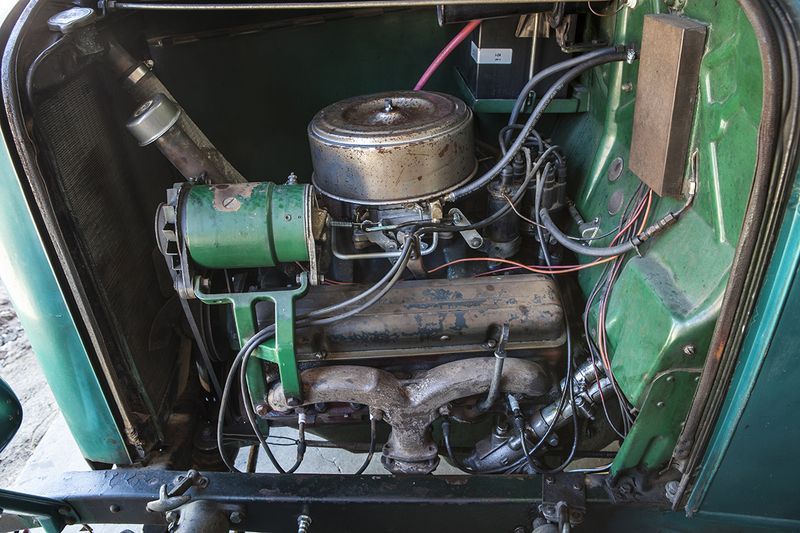 Then a ’56 Chevy engine was installed in May of 1963, followed by the current 283 from a ’57 Chevy in August 1964. Undeniable, documented history. In its current configuration, the car runs that 283 backed by a 1940s Ford transmission with Zephyr gears, feeding to a stock rear-end. Suspension remains stock as well. 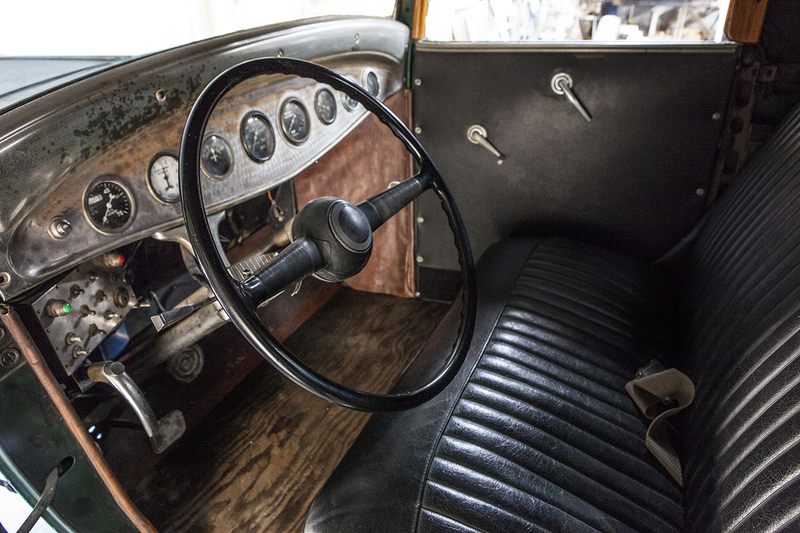 A ’40 Ford steering column with column shift is topped with the ’40 steering wheel. Rubber is blackwall bias-ply Firestone Deluxe Champions from Coker Tire. 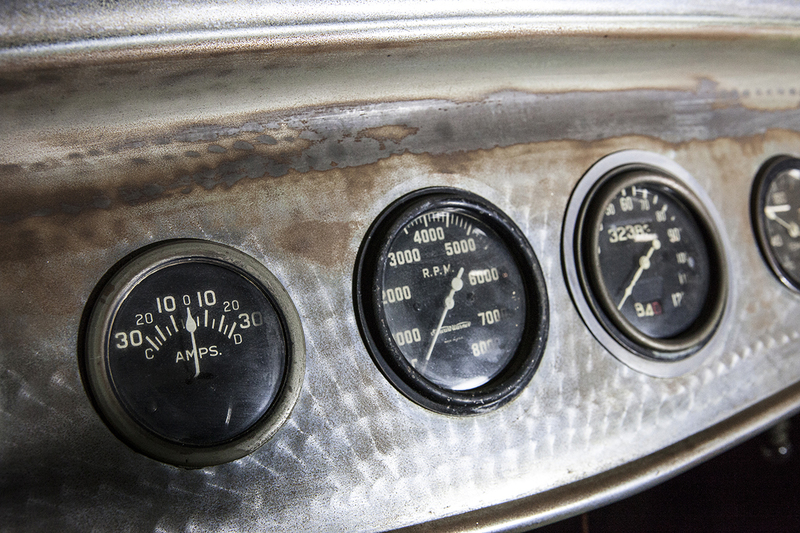 Inside, a hand-turned original dashboard is chock full of Stewart-Warner and Alemite gauges. A ribbed black vinyl seat cover over the stock seat completes the spartan interior. There are early Sears Allstate seat belts and a plywood floor. The body was taken all the way to bare metal in 1964 by Roger Burke, and all damage at the time repaired. He then primed the car using Rustoleum primer. That was covered in Ditzler enamel in a 1964 Rambler color, Lancelot Turquoise. The paint looks pretty good for being 52 years old. 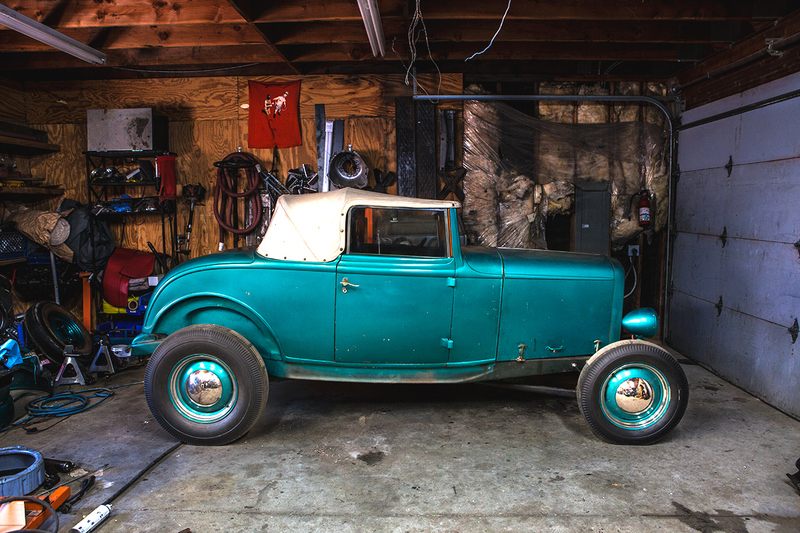 A ’32 cabriolet is a fairly rare car, especially as compared to a coupe or roadster. 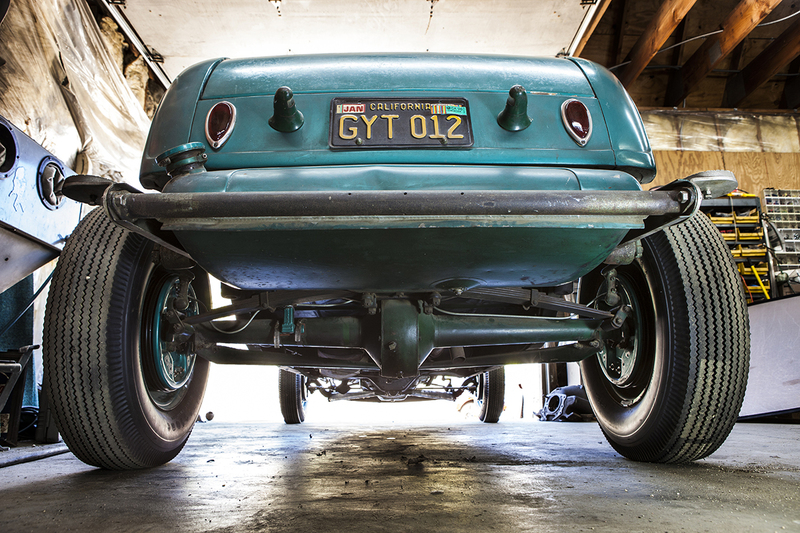 Finding one that was turned into a hot rod over 60 years ago is almost unheard of. The hot rod gods were definitely in love with this car and considered Brian a worthy caretaker. He strongly and humbly realizes his significant position of caretaker for this car. We know he’s studied the documentation over and over. He can probably recite most details without referring to “the book.” And he listens to the car. 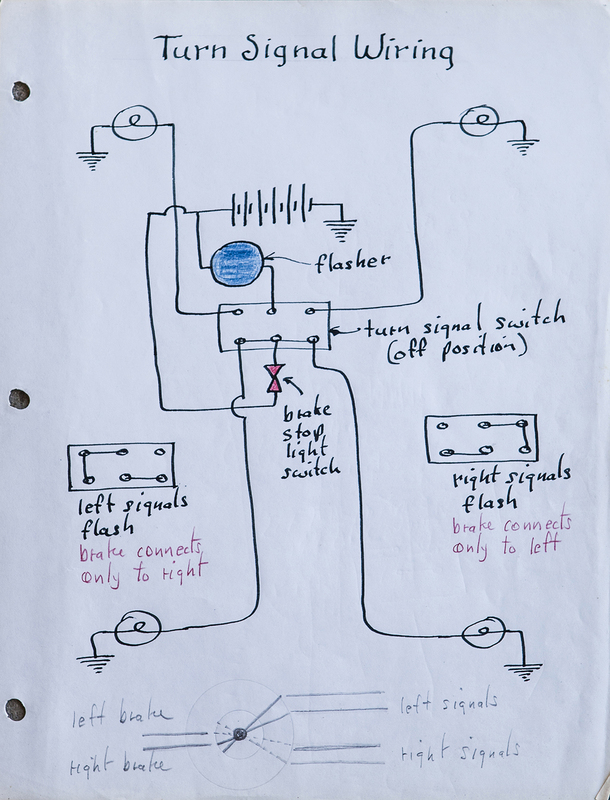 He said that it told him it wants to be flathead powered again, like it was in the beginning. That’ll probably happen.